Mario Mandzukic is a Croatian professional footballer who plays as a forward for Italian club Juventus and the Croatia national team. Besides being a prolific goalscorer, he is known for his defensive contribution and aerial power. In 2004, he started his career in his hometown club Marsonia and previously played for NK Zagreb, Dinamo Zagreb, VFL Wolfsburg, Bayern Munich, and Athletico Madrid before playing for Italian club Juventus. He made his international debut in November 2007. The 32-year old forward Mario Mandzuikc has already proven himself as one of the consistent goalscorers in the football arena. And he has played for some of the biggest clubs such as Dinamo in Croatia, Bayern Munich in Germany, Atletico Madrid in Spain, and now Juventus in Italy. Following Croatia's success at 2018 FIFA World Cup, he announced his retirement from international football. Croatia reached World Cup for the first time in their history, which they lost 4-2 against France. Mandzukic has already started his goal-scoring streak in this new 2018-19 season. He has already scored 4 league goals for Juventus in Seria A, whereas his Portuguese teammate star Cristiano Ronaldo is leading assist provider for Juventus. Croatian professional footballer who plays as a forward for Italian club Juventus and the Croatia national team. 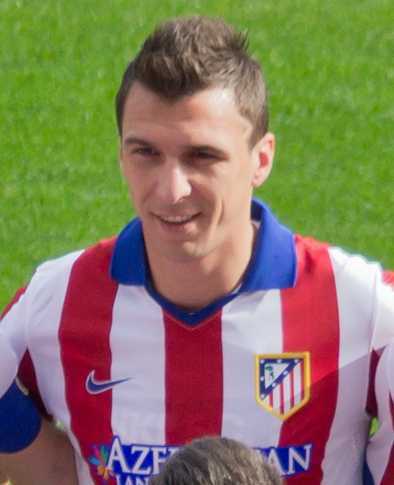 Mario Mandzukic was born on 21 May 1986 in Slavonski Brod, SR Croatia, SFR Yugoslavia. He is of Croatian nationality. His father Mato Mandzukic and mother Jelica Mandzukic later moved to Germany and started living there due to Yugoslav war. Mario also has a younger brother named Markopic. He was interested in playing football since his early childhood days and played for German club TFS Ditzingen. After Croatian Independence, his family returned to Croatia and played at the various youth clubs of Croatian teams such as Marsonia, and Zeljeznicar Slavonski Brod. He signed for NK Zagreb in 2005. Dinamo Zagreb: Mandzukic played at NK Zagreb for two years and joined Dinamo Zagreb in the summer of 2007 for a transfer fee of 1.3 million Euro. Mandzukic finished his first season at Dinamo with 12 goals, 11 assists plus 11 yellow cards. He finished his sophomore season at Dinamo becoming the top goalscorer of the league with 16 goals. He then scored 14 league goals in his third season at Dinamo. Wolfsburg: Mandzukic signed for VfL Wolfsburg on 14 July 2010 for a transfer fee reported at 7 million Euro. Mandzukic played alongside Edin Dzeko as a substitute most of the half of the debut season. Mandzukic scored his first Bundesliga goal only on Matchday 26 against FC Nurnberg. Mandzukic became a regular starter for Vfl and became the club's top goalscorer with 12 goals in his second season there. Mandzukic played at VfL Wolfsburg for two seasons and then moved to another German giant Bayern Munich. Bayern Munich: Bayern Munich signed Mandzukic on 26 June 2012 for a transfer fee of 13 million Euro. He made his debut and scored his debut goal for Bayern on 24 July 2012 in a friendly against Chinese Super League side Beijing Guoan. Mandzukic scored his debut goal in competitive goal for Bayern against Borrusia Dortmund to win DFL Supercup. He finished his first season with Bayern becoming the club's top scorer scoring 15 goals. Mandzukic became the first Croatian to score in a UEFA Champions League final against Borrusia Dortmund. He scored the first goal for the club and gave his team a lead in the 60th minute. Mandzukic went on winning the treble, Bundesliga, Champions League, and DFB-Pokal for Bayern in his first season. Mandukic and the new manager Pep Guardiola did not have very good terms. Mandzukic showed interest in leaving Bayern saying "the playing style of coach Pep Guardiola simply does not fit" him. Juventus: Seria A champion Juventus signed Mandzukic on a four-year deal on 22 June 2015 for a fee of 19 million Euro. Mandzukic made his league debut in a 1-0 loss to Udinese on 23 August 2015 and scored his first Seria A goal on 25 October 2015 against Atalanta. Mandzukic scored his second UEFA Champions League final goal in a 4-1 loss to defending champion Real Madrid. Mandzukic has already scored 4 goals in this new edition of 2018-19 Seria A.
Mandzukic was called-up to the Croatian national team following his ongoing brilliant performances for the Dynamos. Mandzukic made his international debut against Macedonia on 17 November 2007 and scored his debut international goal in a 4-1 loss against England on 10 September 2008 in a 2010 FIFA Worl Cup qualifying match. Mario became one of the crucial members of the Croatian national team for 2018 FIFA World Cup when they reached World Cup final for the first time in their history. Mario Mandzukic became the second player in World Cup history to score for both teams in a single match (the first being Ernie Brandts of the Netherlands in a 1978 World Cup match against Italy) and the first to do so in a final. He scored an own goal and gave France a 1-0 lead, whereas he scored Croatia's second goal. Croatia lost their first ever World Cup final 4-2. Mandzukic announced retirement from international football on 14 August 2018. He became the second highest goalscorer in the Croatian history scoring a total of 33 goals. Mario Mandzukic has an athletic body build. He stands 6 feet 3 inches tall and has a body weight of 78 kg. Talking about his personal life, he is in a relationship with his girlfriend, Ivana Mikulic and the couple are currently enjoying a happy and harmonious life together. Ivana who is dating Mario for about 5 years is also from Croatia and currently studies in Poland. 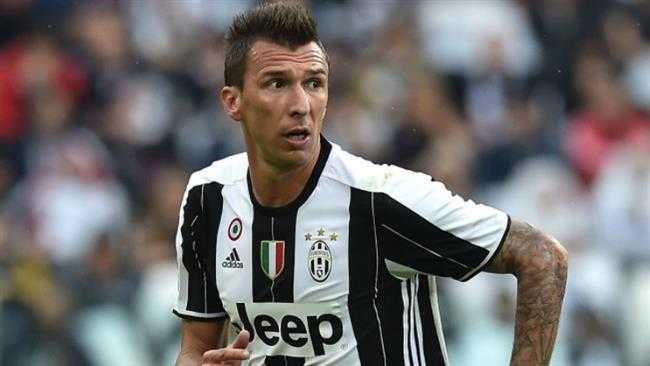 Mario Mandzukic owns several cars including Audi, Ferrari etc. Mario Mandzukic has played for some of the best clubs in Croatia, Germany, Spain, and Italy at present. Mandzukic signed for Seria A champion Juventus on a four-year deal on 22 June 2015 for a fee of 19 million Euro. He has an annual salary of around $4 million. His market value worth is estimated at 18 million Euro. As of 2018, the net worth of Mario Mandzukic is estimated at $8 million. He has become one of the successful players in the Croatian football history. Mario Mandzukic became the first Croatian to score in a Champions League final. He was named Croatian Footballer of the Year in 2012 and 2013. With 33 goals in 89 appearances, Mario Mandzukic is Croatia's second most prolific scorer of all time, behind Davor Šuker. Juventus was already the third club Mandzukic had joined immediately after they lost the Champions League final, having previously signed for Bayern Munich and Atletico Madrid after they have lost in the final of Europe's most elite competition. Mandzukic's bicycle kick goal against Real Madrid in UEFA Champions League Final went on to win the 2016–17 UEFA Goal of the Season award. The first goal Mandzukic scored after 76 seconds became the fastest goal Real Madrid conceded in Champions League home game and was the first opposition player to score a first-half double in a Champions League match at the Bernabeu.